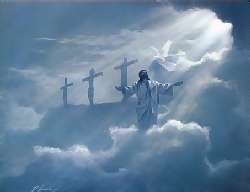 Thank God for sending His only son Jesus Christ so that WE ALL can be saved and enter Heaven clean and without sin. Jesus died and rose again as He promised and He said for all that believe in him, those shall He save from the wrath of God for their sins shall be no more. Amen, Oh Jesus you are our savior thank you for loving us.